Watching GOLDFINGER while looking up Google maps.I found the spot where the convoy turns on Harrison and Main Street in Maldaugh , KY. It's interesting how it looks somewhat the same now. Kind of inspired by ON THE TRACKS OF 007, and curious what some of the locations look like today. I visited this street corner in Pagi (Corfu) a few years ago. This is the spot where Melina topples her 2CV and the crowd turns it on its wheels again. The bar in the backgroung is now called "Spiros Bond 007 Cafe - Bar". The owner is a very nice and friendly chap - visit him when you get the chance. Nice! I accidentally ended up inside the cafe! You can see Bond photos all over the walls. @zebrafish Is the guy sitting there the owner you speak of? I visited this street corner in Pagi (Corfu) a few years ago. The bar sounds great - I love quirky little unofficial 007 tributes. I visited Corfu some years ago, mostly because I've always liked My Family and Other Animals, but I missed this! @QBranch , no, that's not him. Looks more like a tourist. If the link works: That's him and his wife. Jimmy's wife (Eleni) remembers the days when filming took place. While we were sitting outside he gave us two large folders with Bond-related stuff. Apparently a member of the German James Bond fan club once visited all the places on Corfu and documented it nicely. You should be able to find the documentation somewhere on the net. The owner was really excited that I outed myself as a Bond fan. We had a long chat and some delicious toast, and at the end he prepared a fantastic dessert (which was - to our embarrassment - on the house). @Agent_99 , those stories are great (also on TV: The Durrells) - I discovered Gerald Durrell's books when I was looking for something to read while on Corfu. If you are still planning your summer holidays, check out Corfu. Tons of Bond-related sights, and all within a short drive from each other. Some great links on here so far. I have yet to actually visit a Bond location, though I've been to New York City. I don't recall getting to be at any actual LALD spots. 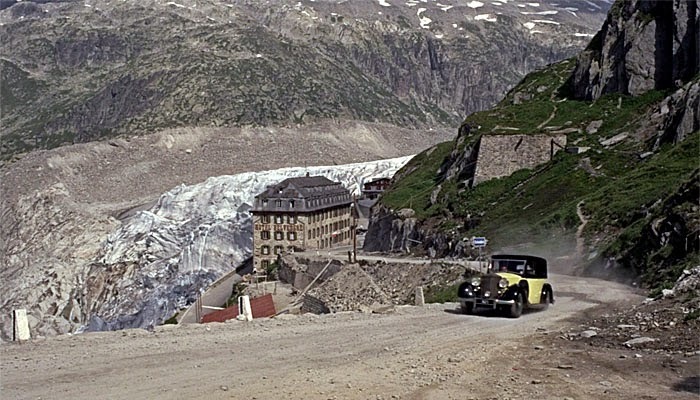 Furka pass, Goldfinger's Rolls Royce passes the Hotel Belvedere (note that the glacier has retreated out of sight). The road's got a lot better! Still looks an incredible place though. 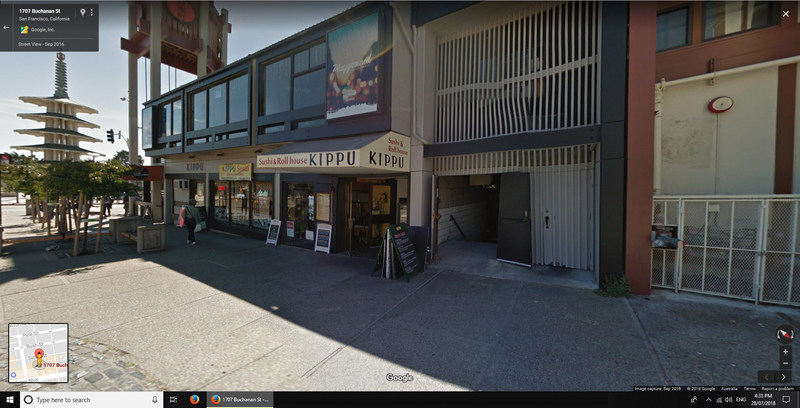 Here's the link to the fansite whose members visited several Bond locations (click left on "Spuren von 007"). They compare film stills with pictures they took themselves a few years ago. 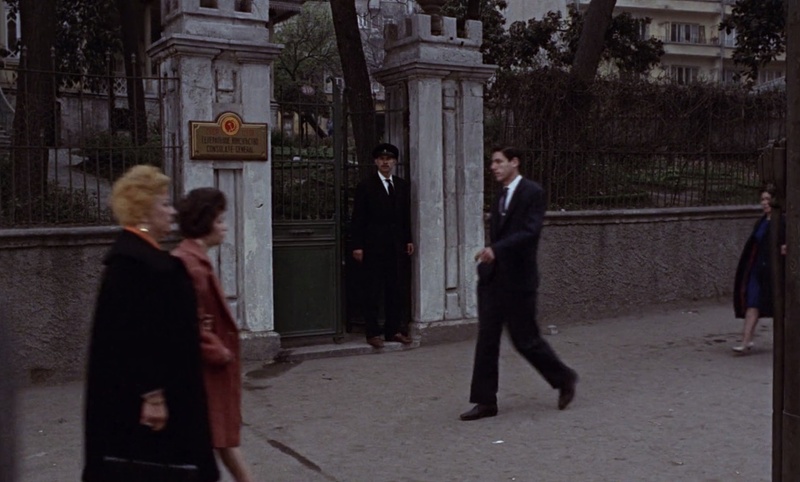 I am planing a trip to lisbon in summer, and i wanted to see if i can locate some Bond spots beforehand. That's it - amazing! Very good detective work, @00Agent . Even the old stone posts are visible, with the larger gap right where it should be. You absolutely have to mark the spot secretly, maybe attach a 007-sticker to the guardrail. Maybe you should deposit a wreath, a votive candle and a teddybear in memory of Tracy. haha that's a good idea. Or put a small wooden cross there, with Tracy on it. Great idea for a thread and cool spots. I was in Corfu, too, and could also visit Pagi and the owner of the little restaurant was indeed a very nice guy. He even showed me all scenes of corfu on the big screen inside the bar and explained me where to find the locations in the village. That was perfect. Corfu is a dream for every bond fan, so many locations of FYEO. I hope I will be there one day, too!!! Is it close to lisbon? It's around one driving hour south of lisbon. 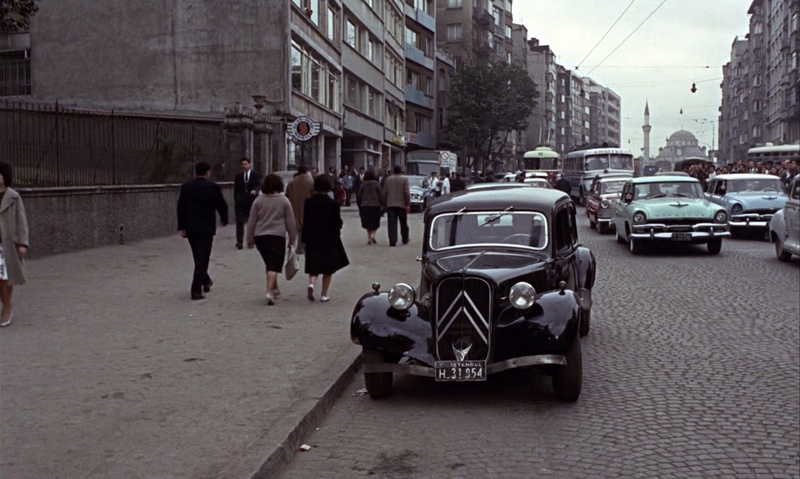 I've been location scouting a bit in istanbul via GM, as i am planing a trip there as well. There are many locations from 3 movies, but here's a particularly good one from FRWL, as most of the main cast was in this spot. It's the entrance to the russian consulate. Looks pretty run down today. You can still spot the big mosque in the background. The street and sidewalk have been completely redone though.